Now you can be in charge of your own water supply. 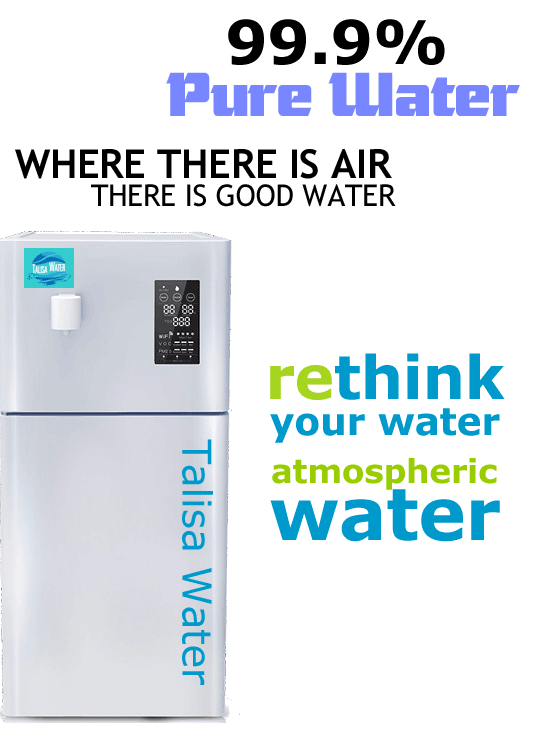 With our atmospheric water generators and our clean water filtration systems. Our residential units can provide a complete water source for residential and multi-family dwellings. This is a viable alternative to municipal source and provides the highest quality drinking water available today. Our industrial units can be placed on top of buildings as well as on ground level. 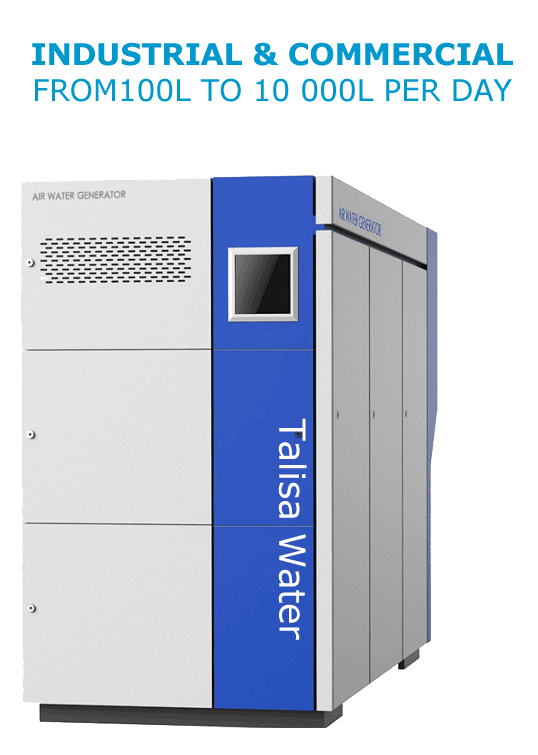 in addition, the machines are scalable, they can be placed in sequence to fullfill the most sizeable bulk water requirements. These models hav been designed to work outdoors in arid conditions with humidity levels of 30% to 90%. 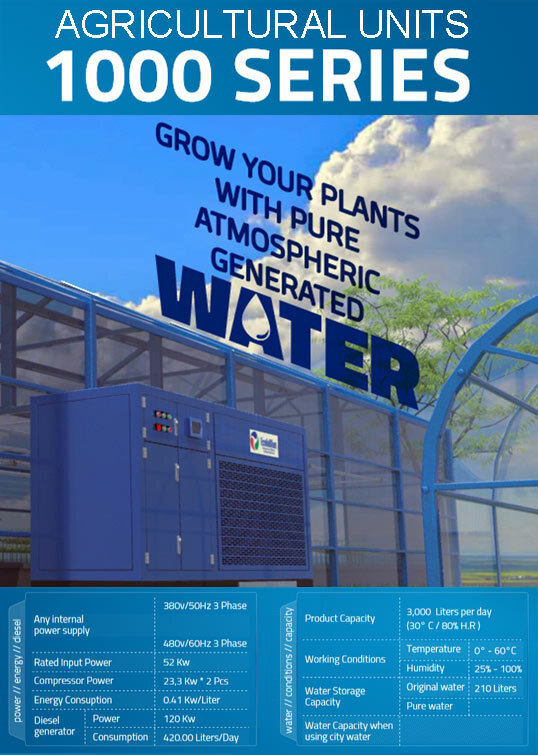 Our industrial units are the solution for Agricultural Water Management by providing a seamless supply of water for agricultural sustainability in dry or humid conditions.